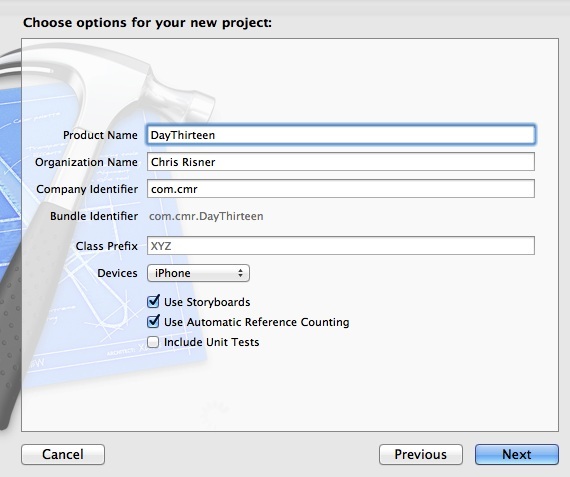 Welcome to Day 13 in the 31 Days of iOS. We just wrapped up a series on data storage and sharing data between different view controllers. 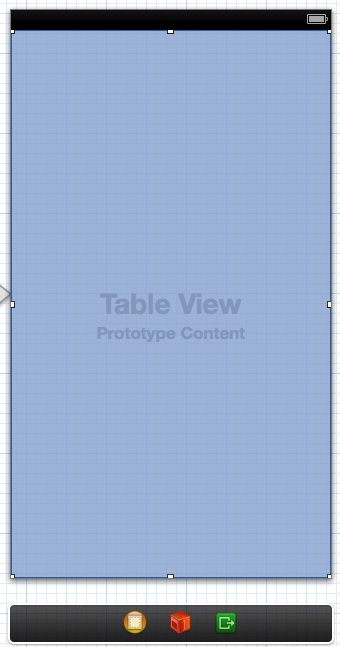 Today we’re going to move on to something new: the TableView. The TableView is used to display a list of information. Many of the built in apps use this view type including Contacts, Mail, Notes, and more. In general the idea is that each row displays a single record of information and that each row appears the same. 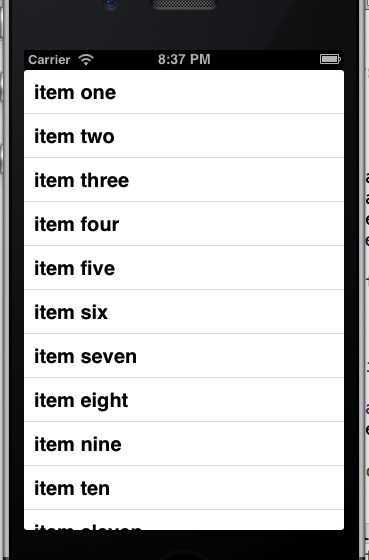 Tapping on a row usually opens whatever item is associated with it (i.e. in a details view). We’ll be starting with a brand new project, but if you’d like to follow along with the completed code, you can access it here. We’ve got the basic boilerplate project now. After you let go, you should see a popup appear allowing you to select dataSource and delegate. Pick one and then repeat and pick the other. If you run the app now, it will crash because you’ve told the Table View that it can call it’s source and delegate methods on the ViewController object, but we haven’t implemented them yet. We’re going to change the UI a bit more before we do that. This allows us to customize our UI later on. In the Utilities panel switch over to the Attributes Inspector. 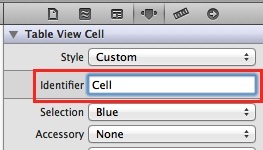 Set the Identifier to Cell. We’ll use this later in the code to help us find the cell. Now we can switch over to the code and start wiring our app up. Now we can implement the class. The advantage of doing it this way is that the logical flow of your application is handled within your storyboard and not in the code behind. However, if you need to pass data from the cell that was passed to your new View Controller, you’ll need to implement the prepareForSegue method in the originating ViewController class and set data properties on the destinationViewController. 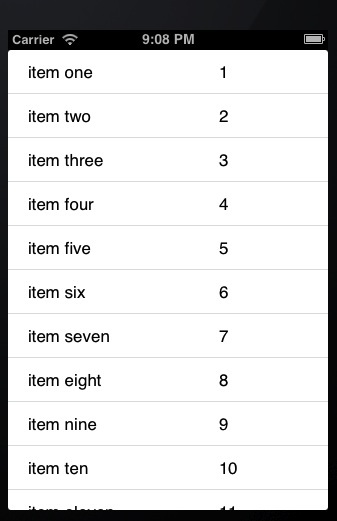 Today we saw a new way to display data: the TableView. This is a very powerful UI element and is used by many of the built in iOS apps. Furthermore, we looked at how to customize the UI. 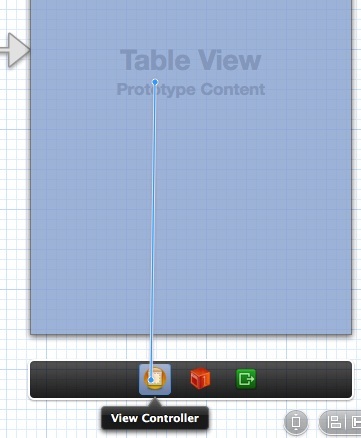 If you take a look around at other apps, you’ll see it’s possible to really customize your UI with the TableView. Also, not that you don’t have to add a TableView to a ViewController and add all of these methods yourself if you don’t want to. When you go to add a new file to your project, you can have your new class subclass UITableViewController instead of UIViewController. This will generate a view controller that already has the methods in it. Furthermore, you can add a Table View Controller to the UI in your storyboard instead of having to drag and drop a Table View yourself. You can check out the finished source code from today here.